It might be cold and windy, but that won’t deter the kids from wanting to bounce on their Vuly trampoline or run around outside! However, time spent out in the elements can often cause chapped lips and dry skin. Today, we share some fantastic, natural remedies to these issues that you can make yourself! They're ideal for use before and after active time spent outside this winter—not only are they gentle on young skin, but they're also free from any of the nasty ingredients found in many supermarket alternatives. We love the smell of a good lip balm! This one is completely natural, and with just a few ingredients, you can protect your kids' lips while they're bouncing out in the dry air. Tip: Add a different essential oil to create a new flavour. Put an 3 - 5 cm of water into a small pot, and place over medium heat. Put a small, heat proof jar or container into the water. We recommend using glass glass. Spoon the beeswax, cocoa butter and coconut oil into the container and let the ingredients gradually melt, ensuring that no water from the water bath enters the mix. Once the ingredients have completely melted, turn off the heat, and stir to combine. Add your essential oil to the mixture, and stir it through. Leave the jar in the water bath to ensure that the mixture stays liquid and doesn’t separate. Then, use a spoon or dropper to fill a few small plastic containers. Leave to cool for a few hours—until the mixture has firmed. This creamy lotion is perfect to use all over your body. Slather it onto skin in the bath or shower and take a deep breathe in of all those wonderful aromas. It'll keep you kids' skin hydrated too, while they're playing on their Vuly out in the cooler winter air. Spoon the shea butter, rosehip oil and jojoba oil in a mixing bowl. Whip the ingredients with a mixer until they're blended, light and creamy. Stir through your essential oil, and pour the mixture into an airtight storage container. Avocados are filled with nourishing, healthy oils that are not only great for our insides, but also for our skin too! This ones for you; take some time to relax at the end of the day—while the kids are outside bouncing on their trampoline—to relax with a natural face mask. Using a mixer or fork, smash together the avocado, with the warmed olive oil, until it’s a smooth and creamy consistency. Rub the mixture onto your face with your fingertips, and leave it there for 20 minutes. Rinse off with warm water. 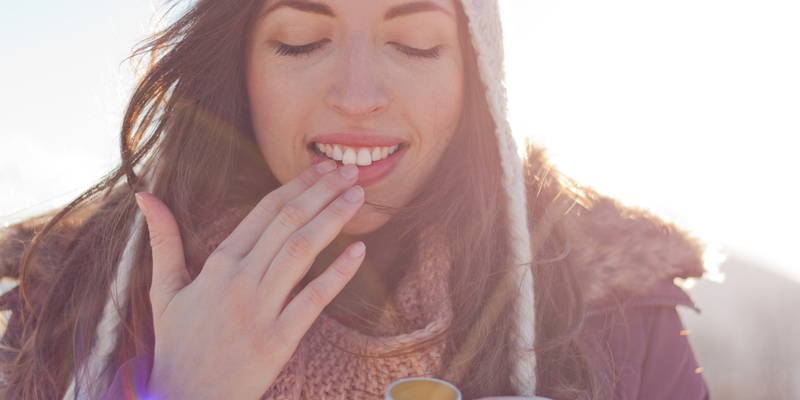 How do you protect your skin and your family's skin come winter? We’d love to hear which of our natural DIY recipes you’ve tried and loved!